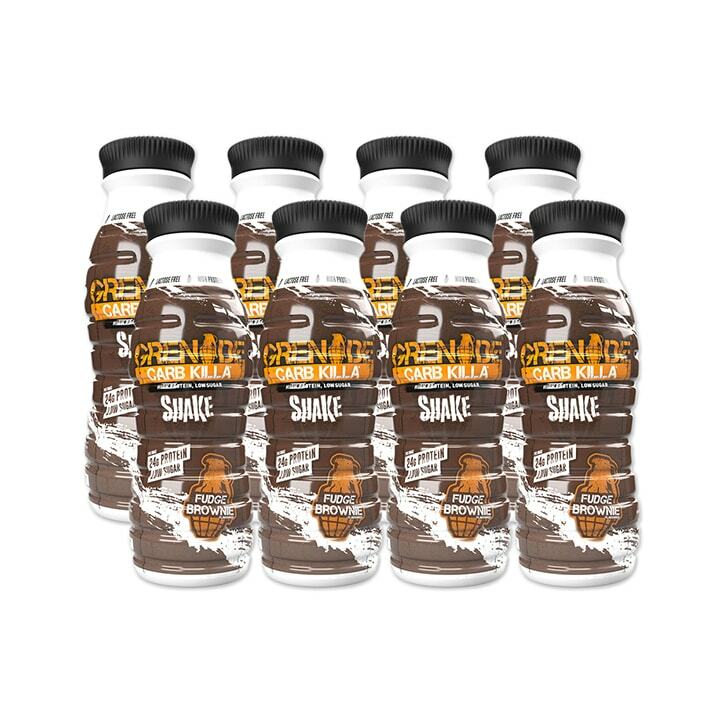 Grenade Carb Killa Shake Fudge is rated 5.0 out of 5 by 7. Rated 5 out of 5 by Jinty1963 from Great features I like what the product does, but thought that this was fudge only, not keen on fudge brownie. Rated 5 out of 5 by Rach321 from Delicious Very good product. Low in sugar and high in protein this is one of the best athletic protein drinks on the market. It's delicious and does not taste like a healthy low sugar product. Definitely worth the purchase! Rated 5 out of 5 by Pals12 from Tastes great I really like the taste of this along with the bars / they're great!